We’re taking the long view in this week’s Roundup, folks. We hope you’re in for the long haul, because–long story short–we’re going to take a long, hard look at some good news. This post will be filled with long-ing. Up first? Some long lists! We’re thrilled for Lookout author Matthew Neill Null, whose debut novel, Honey from the Lion, made the long list for the Pat Conroy Southern Book Prize in the “Prince of Tides Literary Prize” category, where he is joined by Ecotone contributors Ron Rash and Karen E. Bender. The Southern Independent Booksellers Alliance renamed their book awards this year after Mr. Conroy. 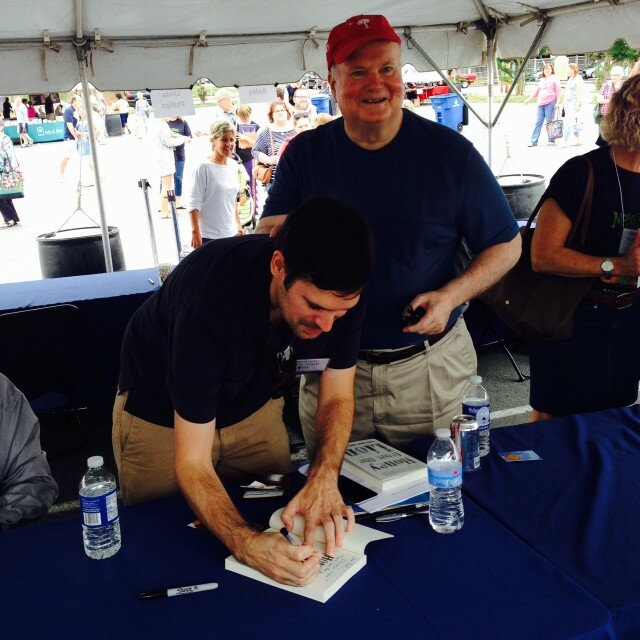 Wanda Jewell, SIBA’s Executive Director, said, “We have long wanted a sexier more marketable name for our book awards, and nothing is sexier than Mr. Conroy!” We’re resurrecting a photo of Matt with Mr. Conroy himself–signing over a copy of Honey. The 2016 Sunday Times EFG Short Story Award long list has also been announced–with a prize of £30,000, it’s the world’s richest prize for a single short story. Lookout author Edith Pearlman made the list for her story “Unbeschert,” and Ecotone and Astoria to Zion contributor Maggie Shipstead did as well, for her story “Backcountry.” They are joined by ten other writers from six different countries. 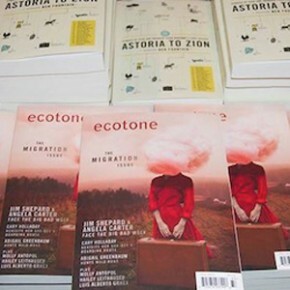 Ecotone received a nice write-up from Wilmington’s own Star News this week thanks to our inclusion in BuzzFeed’s long list of literary journals that will help you read better. We mentioned that in our last Roundup, but we plan on having a long memory about it. That’s the long and short of it this week. Thanks for reading, and we hope to see you next time. In the meantime, so long! In mid-September, Lookout Books and author Matthew Neill Null went to the Southern Independent Booksellers Alliance (SIBA) conference, held in Raleigh, NC. There, we had the privilege of meeting and talking to many booksellers from across the South. At the conference, one of our staffers sat down and chatted with Kimberly Daniels Taws, owner of the Country Bookshop in Southern Pines, NC. 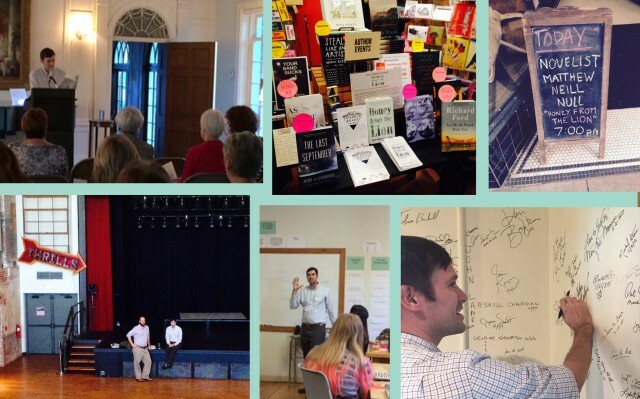 Earlier in the week, Matthew Neill Null had led a workshop on writing historical fiction at the Weymouth Center for the Arts & Humanities as part of his North Carolina tour, and the Country Bookshop sponsored a book signing after the event. We had such a good time meeting Kimberly, hearing about her store, and then taking a trip to see it, so we were grateful to sit down with her again at SIBA to get all of the official details about books, Southern Pines, and quarkbeasts. The Country Bookshop was founded in 1953, and when Kimberly bought the store in 2010, she resurrected the original logo, which she found in newspaper ads. 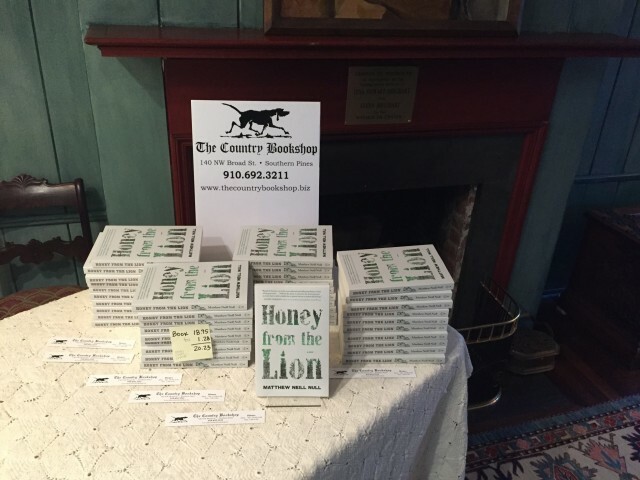 She also shared with us how successful Honey from the Lion has been at the Country Bookshop, hopping right into the top spot for paperback fiction sales after our visit. 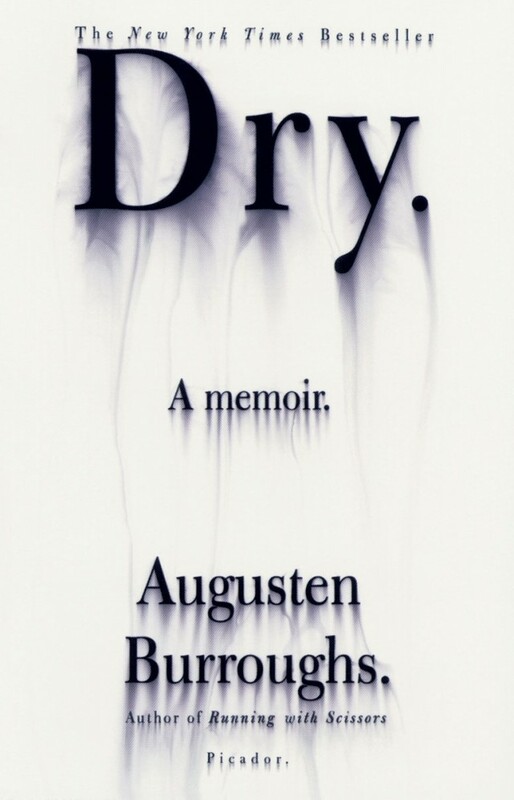 Dry by Augusten Burroughs. It’s dry, but it’s dripping wet. It’s fabulous, just so well done. What are some of the qualities that make the Country Bookshop unique? Probably the town. Southern Pines is a hidden gem of a town. A lot of places try to recreate what our town is organically. It has guitar shop and a cheese shop, a wine shop, a bike shop, a knitting shop, an art gallery, two coffee shops, a great independent theatre, an ice cream shop, tons of women’s dress shops, and a toy shop. There are great restaurants, all within the two blocks of our cute downtown. It’s walkable. And the North Carolina Literary Hall of fame is there in Weymouth. If you could adopt any fictional animal, which one would you choose and why? Like a snuffalufagus? I read this book, The Last Dragon Slayer by Jasper Fforde. I needed something different. This girl, she was an orphan and became an indentured slave to this house of wizardry. And she has a quarkbeast. So, a quarkbeast. What book are you recommending most to customers right now? It changes the way you look at things. Like how you and I could be sitting here but we would have totally different experiences. It hammers down on that kind of different experience and it is mind-blowing. What songs are on your store’s playlist? Funny enough I do not regulate the music. It’s based on mood and whoever gets there first. The Pandora stations we are listening to are Jimmy Buffett and Macy Gray. I usually put on Tedeschi Trucks. And jazz. We like to keep it varied. What do you see as the Country Bookshop’s role in the community? We are one of the oldest consistent storefronts. So the continuity and the stability as the town has evolved is something greater than the shop. 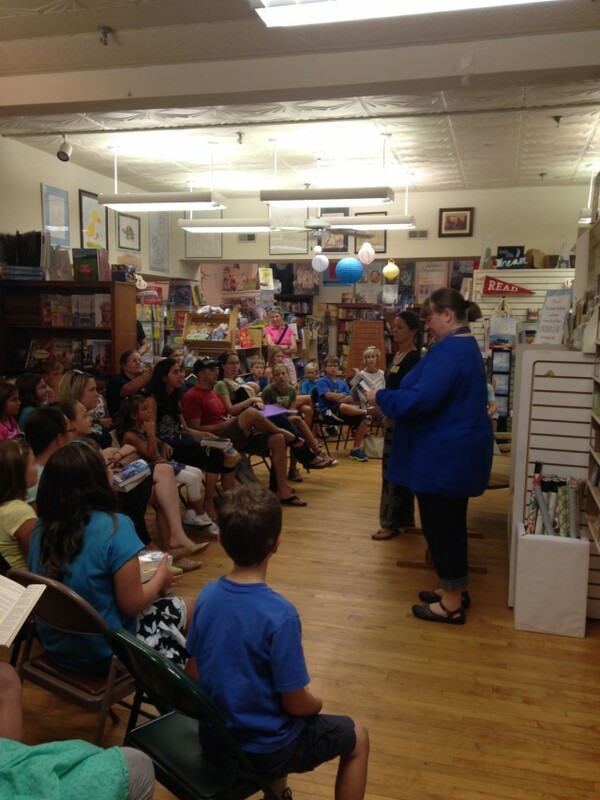 Our goal is really to make our town a literary destination. There are stories: F. Scott Fitzgerald used to come here on the train, and townspeople would have to help him stumble his way up to Weymouth from the station. As locals, we all know those stories, but if somebody is coming through the town, they are not going to know it and they would never see your town as the place where these stories happen. So to make that accessible, I think is one goal and then to advertise our town as this destination is our job. Hard cover or paperback? hardcover. And let me preface that with an autographed first-edition hardcover. Bookmark or dog-ear? dog-ear. I’ve worked for a long time with older people and their books, and one of my favorite things is how books have been used. It’s been a notably rainy week here in Wilmington, turning our thoughts toward fall at last. You know fall is coming when you scroll down your Facebook feed, and no less than four friends have posted links to this oldie but a goodie from McSweeney’s. In other notable news, we’ve got our list of stories and essays that were honored in the Best American series! Best American Stories 2015 NOTABLES include Matthew Neill Null (for issue 17’s ‘The Island in the Gorge of the Great River”) and Chantel Acevedo (for 17’s “Strange and Lovely”). 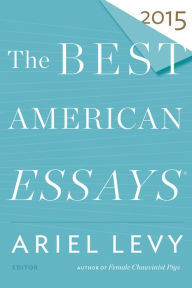 Several of our essayists earn NOTABLE mentions in Best American Essays 2015: Belle Boggs (for issue 17’s “Imaginary Children”), Camas Davis (for 18’s “Human Principles”), Joni Tevis (for 17’s “What Looks Like Mad Disorder”), and Toni Tipton-Martin (for 18’s “Breaking the Jemima Code”)! We’re so happy for our talented contributors! Notable reviews abound: Lee Upton’s Bottle the Bottles the Bottles the Bottles gets a glowing review in The Literary Review, Claire Vaye Watkins’s new novel got a great review in Slant Magazine, and Ana Maria Spagna’s new book Reclaimers got this review in the Seattle Times. Last but not least: Chantel Acevedo, Edith Pearlman, and Jim Shepard—all Ecotone contributors—were longlisted for the Andrew Carnegie Medals for Excellence in Fiction and Nonfiction. 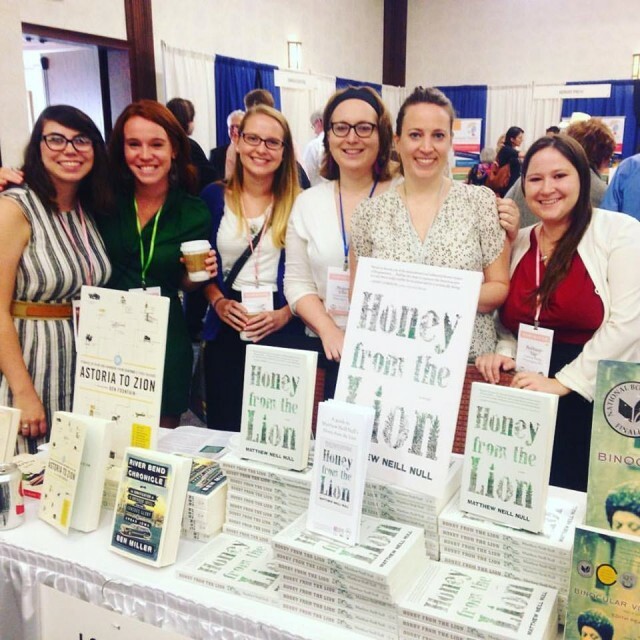 We were notably excited to meet so many booksellers at the Southern Independent Bookseller Alliance (SIBA) conference last weekend. 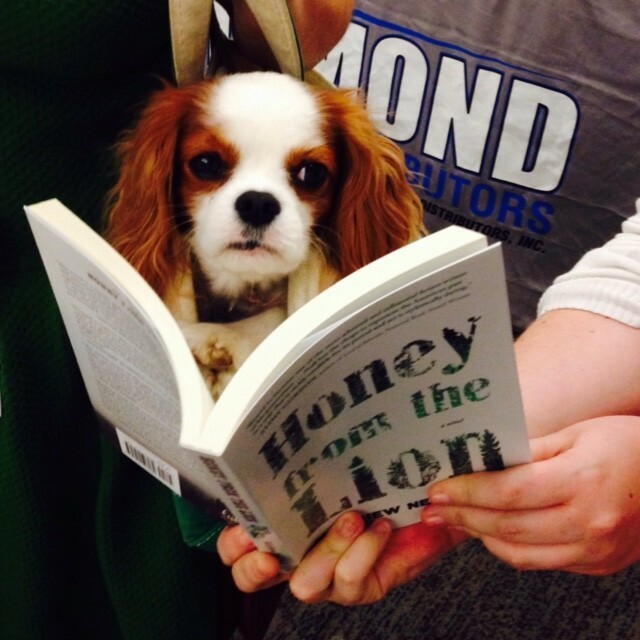 We had a great time at the panels, signings, and exhibitor show, where we talked up Honey from the Lion. The South is filled with so many great bookstores, and we love getting to know the people behind them. 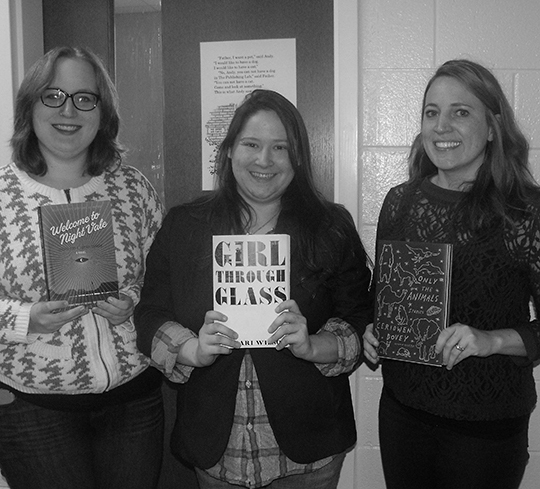 Check out the Seven Questions section of our blog, where we interview writers and, yes, booksellers! We already have some amazing interviews, including ones with Hub City, Quail Ridge, and Parnassus. If you’re a bookseller and are interested in participating in this blog series, let us know. Matthew Neill Null’s Carolina tour, supported in part by the great folks at South Arts, culminated with his appearance at SIBA, and it was a resounding success (even Leopold Bloom the dog thought so!) If you missed him in North Carolina, catch him in Nashville, Tennessee on October 10 at the Southern Festival of Books. He’ll be giving a talk with Glenn Taylor titled “Whiskey-Bent and Gallows-Bound: Novels of Turn-of-the-Century West Virginia.” And big thanks to Tennessee’s Chapter 16 for giving him this great review in advance of his visit! The weekend is here, and we hope it’s filled for you with many notables. (Naps are in order here, friends.) Have a great one! It’s been a big book awards week, no? Hearty congratulations to all the authors on the National Book Awards longlists, but especially to Lookout’s debut author Edith Pearlman, of whom we’re forever fans. (A toast to her editor and Lookout’s co-founder, Ben George, as well!) We’re also thrilled to see books by members of our hometown team selected–congrats are in order for Wilmingtonians Karen E. Bender and Michael White. 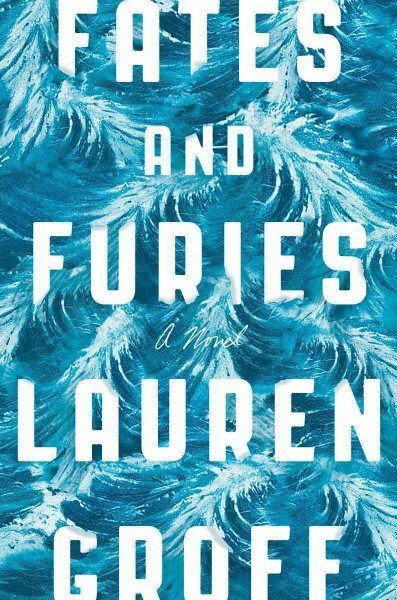 And two Ecotone contributors to boot: Lauren Groff (whose beautiful story “Abundance” appears in our Ecotone anthology, Astoria to Zion) and Patrick Phillips. Hooray, all of you! Around the net, we saw Camille T. Dungy featured on Poets.org’s Poem-a-Day and Claire Vaye Watkins’s story “Wasteland, Wasteland, Wasteland” as Kenyon Review’s story of the week. Our debut novelist, Matthew Neill Null (seen here signing a book for beloved author Pat Conroy) has been super busy this week touring all around North and South Carolina–supported by grant funding from South Arts–including visits to the Hawbridge school in Saxapahaw where he faced down 320 elementary and high school students, and the Weymouth Center in Southern Pines where he talked about writing historical fiction. Thanks so much to the bookstores that hosted and supported Matt this week, the best of the best around the Carolinas: Scuppernog, Malaprop’s, Flyleaf, the Country Bookshop, Fiction Addiction, Hub City, and Main Street Books. We’re so grateful to have fantastic and gracious stores to send our writers to. We’re also thrilled that Kirkus Reviews included Honey from the Lion in Nine Books You Shouldn’t Overlook, and loved to hear Matt over the airwaves on The State of Things. He was a little hoarse, but understandably so after this crazy week. Matt and staff from Lookout are headed this weekend to the Southern Independent Booksellers Alliance trade show in Raleigh, and can’t wait to meet and talk with owners from some of our favorite bookstores in the South. We hope, as ours will be, your weekends are filled with lots of books and scavenger hunts!